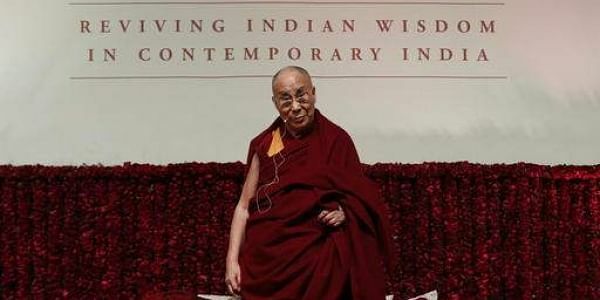 The comments came after the Chinese Foreign Ministry criticised India for allowing the Dalai Lama to visit Arunachal Pradesh, which Beijing claims as southern Tibet. BEIJING: The Chinese media today accused India of using the Dalai Lama card to deal with China's growing economic and political influence in South Asia and warned New Delhi of "severe consequences" if it hosted the Tibetan spiritual leader in a "disputed" area in Arunachal Pradesh. "Despite objections by China, India will host the Dalai Lama in a disputed region on the China-India border in coming weeks," state-run Global Times said in an op-ed. The permission was granted last October and the Dalai Lama is expected to visit the area in the coming weeks. Referring to reported comments by Indian officials that it was a religious trip and Dalai Lama had undertaken numerous such visits earlier, the article said the officials has not realised the consequences. "These Indian officials apparently didn't realise, or deliberately ignored, the severe consequences the Dalai Lama's trip would bring. "The 14th Dalai Lama is by no means a spiritual leader but a Tibetan separatist," it said, adding that allowing him to the "disputed area will inevitably trigger confrontation, undermine the stability of the region and sour Sino-Indian relations". "For a long time, some Indians have considered the Dalai Lama as a strategic asset. They believe that India could gain many benefits by using the Dalai issue as leverage. For instance, making an issue of the Dalai Lama could serve as a diplomatic tool to deal with China's growing economic and political influence in South Asia," it said. "However, they overestimate the political value of the Dalai Lama and his group while miscalculating China's determination to safeguard its core interests," it said. "An increasing number of Western leaders have shut the door on the Dalai Lama in recent years after realising the Dalai card is ineffective," it said, referring to the recent decision by Mongolia not to invite him in future. "Against such a backdrop and at a time when a China-India strategic dialogue was just held to improve bilateral relations, the decision to receive the Dalai Lama in the disputed region is unwise. Leveraging the Dalai Lama issue to undermine Beijing's core interests risks dragging the two countries into a state of hostility," it said. "The good momentum for the bilateral relationship in recent years shouldn't be disrupted. In future, there is a great potential for the two countries to tap into cooperation. "As the two biggest emerging economies, they have vast common interests on establishing a new global financial order, tackling climate change and other major issues. Now China and India have come to a critical period to further upgrade bilateral ties," it said.